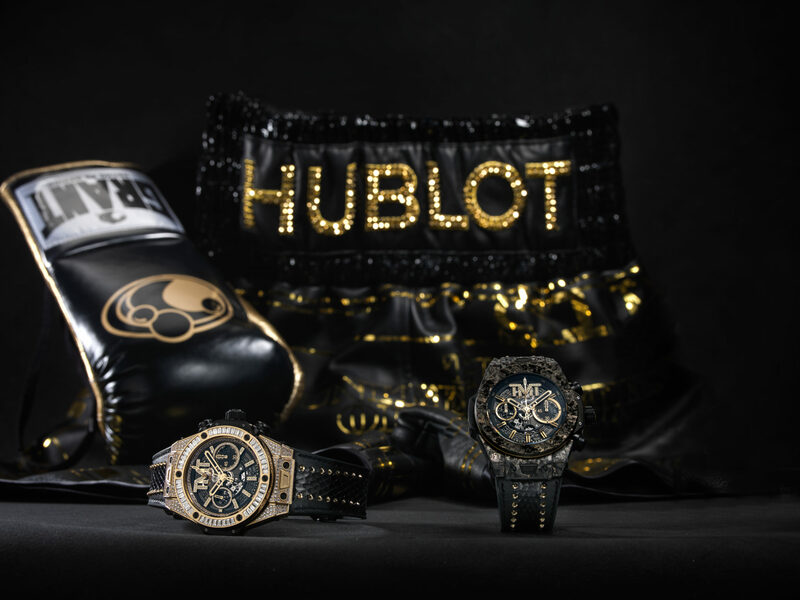 Undefeated world boxing champion and passionate watch collector Floyd ‘Money’ Mayweather has put his name to a pair of limited edition Hublot timepieces. The undefeated boxer joined Hublot executives on Saturday in Las Vegas to unveil the Big Bang Unico TMT, an abbreviation of “The Money Team” and symbol of Floyd Mayweather’s lifestyle brand. 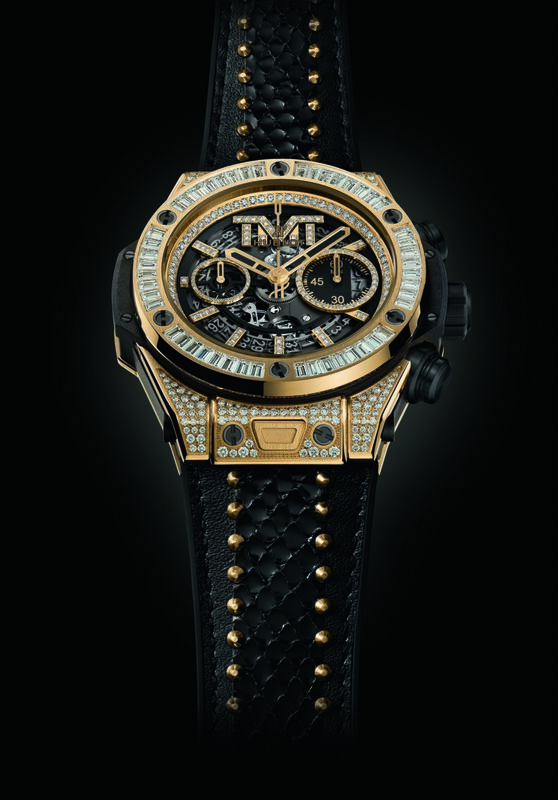 Hublot first sponsored Mr Mayweather in 2015, when he fought Many Pacquiao in what was marketed as the fight of the century, then again in 2017 for a bout against Conor McGregor. 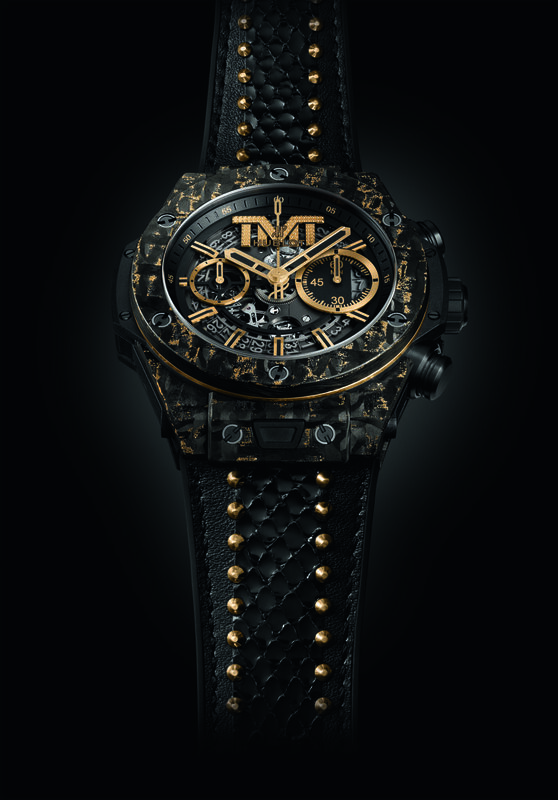 The design of the Big Bang Unico TMT is inspired by the black trunks and gold lettering of Mr Mayweather’s boxing shorts which are echoed in the gold-encrusted cabron fibre case and bezel of the timepiece. The letters TNT are appliquéd at 12 o’clock on the skeletonized dial. There will be 100 pieces made for world-wide distribution to Hublot retail partners and boutiques. In addition, there are ten super-limited edition versions set entirely in 3N gold. The flange, bezel, case, counters, index and three golden TMT letters are picked out in 48 baguette-cut diamonds and 378 brilliant-cut diamonds for a carat weight of 4.85.